Added by The Japan Society on April 9, 2019. We are delighted to welcome Lieutenant General (Retired) Sir Tom Beckett, Executive Director of IISS–Middle East , to brief members of the Japan Society on current developments in the Middle East and the opportunities and challenges these present. This timely briefing will be of particular relevance to Japan Society members with an EMEA responsibility as well as to all with an interest in this strategically important region. This event will be chaired by Bill Emmott, Chairman of the Japan Society and Chairman of the IISS Trustees. 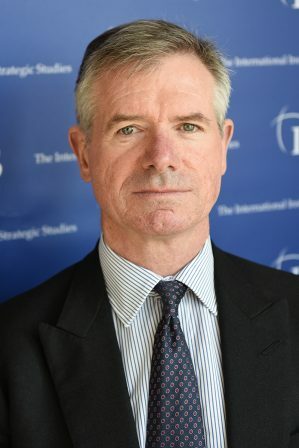 Lieutenant General (Retired) Sir Tom Beckett is Executive Director of IISS–Middle East. He plays a leading role in organising the annual IISS Manama Dialogue, the Dialogue Sherpa Meeting, as well as lectures and roundtables in the IISS-Middle East office. He also contributes to the Institute’s research on the Middle East and North Africa. Sir Tom enjoyed a 34-year career in the British Army, focusing on policy and operations. Before joining the IISS, his most recent government appointment was as the Defence Senior Adviser to the Middle East and North Africa. He was also the Prime Minister’s Security Envoy to Iraq including the Kurdistan Region.